This is Old Jack’s fifth book of ghost stories. 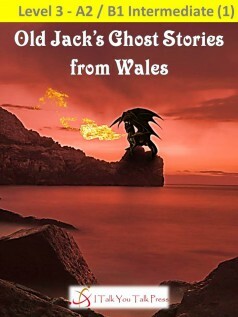 In this book, Old Jack travels around Wales, searching for ghost stories. Many people have seen the ghost of a sad young woman in Carew Castle. Who is she? And why does she stay in the castle? Strange shadows appear on the walls of an old hotel. What are they? And what happens in Old Jack’s room while he is sleeping? Who is the woman walking on the beach at sunset, wearing a long white dress? Join Old Jack as he visits castles, pubs, houses and hotels and discovers hidden history and tragedy. For information regarding the places Old Jack visits, see here.